Porsche brings electric mobility to its site in Saxony: The Supervisory Board of Porsche AG has decided to manufacture the next generation of the Macan as a fully electric series. This will be the first all-electric compact SUV from Porsche, and is due to roll off the assembly line at the start of the next decade. The development represents an expansion of the Porsche range in the field of electromobility: the Taycan – the first purely electrically driven sports car from Porsche – will be launched to market at the end of 2019, followed shortly thereafter by its derivative, the Taycan Cross Turismo. Porsche Leipzig GmbH started series production of the Cayenne SUV in 2002, with 259 employees. Since then, the site has been continually developed to become one of the most advanced and sustainable production facilities in the automotive industry. The Macan model signified a revolution right back in 2011, and is a real success story: when it was launched, the Leipzig plant was expanded into a “full plant”, which included its own body shop and paint shop. When the factory started operations in February 2014, 40,000 units per year of the compact SUV were planned; today it produces more than 90,000 units annually for global markets. 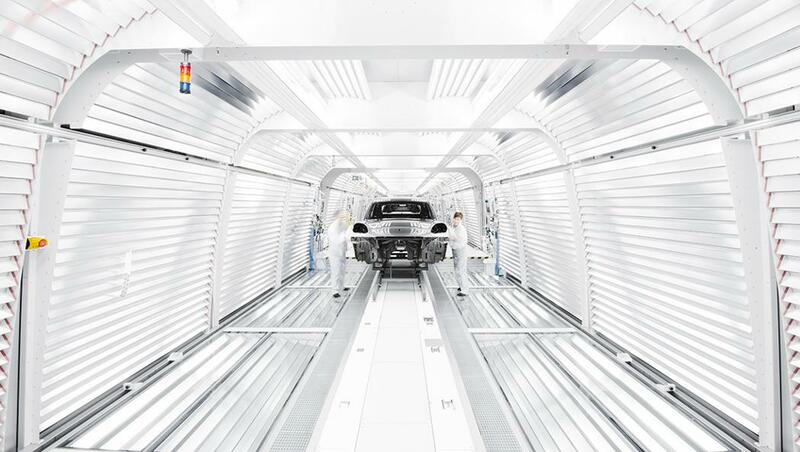 What is currently the final expansion stage was put into operation two years ago, making it possible for the Panamera series to now also be fully manufactured in Leipzig, and bringing employee numbers up to today’s figure of more than 4,000. Since the groundbreaking ceremony in February 2000, Porsche has invested more than 1.3 billion euros in development in Leipzig.